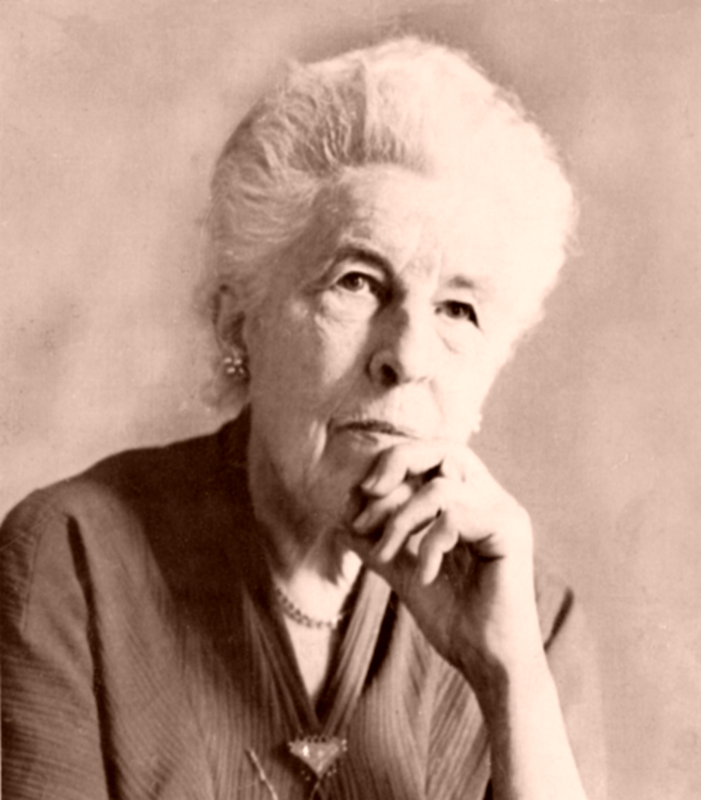 I keep running across blog posts praising how well Ruth Stout’s “no-work gardening” methods work, like this post on The Messy Shepherdess. I first ran across Ruth Stout’s writing when I became interested in gardening as a child, and got a subscription to Organic Gardening. This was around 1970, and Organic Gardening was very much an end-of-the-world prophet of doom back then. Even articles about how to grow nice tomatoes with a trellis against your house would take time out to explain how you’d better hurry up, because we’d all be dead by 1975! But towards the back of every issue was a column by Ruth Stout. Ruth was a life-long eccentric, a proponent of simple living, and thus wasn’t very impressed by the way most people insist on making life way harder than it has to be. So in her Organic Gardening column, Ruth ignored conventional wisdom, as always. She ignored conventional gardening wisdom. She ignored the writing conventions of Organic Gardnening. She acted as if politics didn’t exist. She assumed that what you did in your own garden was up to you. She talked about gardening. In particular, she talked about what she was doing in her garden, since she didn’t consider herself to be an expert about gardens in general. So as a reader interested in gardens, her stuff was cool, because it was focused and clear and was all about doing stuff: without wandering off into theory and politics and never coming back. So, there I was, a ten-year-old gardening enthusiast, and I always opened up a new issue of Organic Gardening to the column by that eccentric octegenarian, Ruth Stout, because it spoke to me. 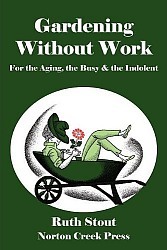 When I discovered that Ruth’s book, Gardening Without Work, had been out of print for years, I was amazed! I was also quick to correct this lapse, and reprinted it. It’s been one of the most popular Norton Creek Press books ever since. This is a fun book to read. Her deep-mulch system is so simple that the step-by-step instructions only take a few pages. The rest of the book provides stories, anecdotes, and experiences that expand on the ideas and help them sink in. Which is just as well, because some readers take a bit of convincing that something so simple can work so well. In any case, Ruth Stout is a delightful writer.